I have wanted to write a new post so many times in the last week but was too busy in the morning to do it before starting my day and by the end of it, had too little energy to spare. 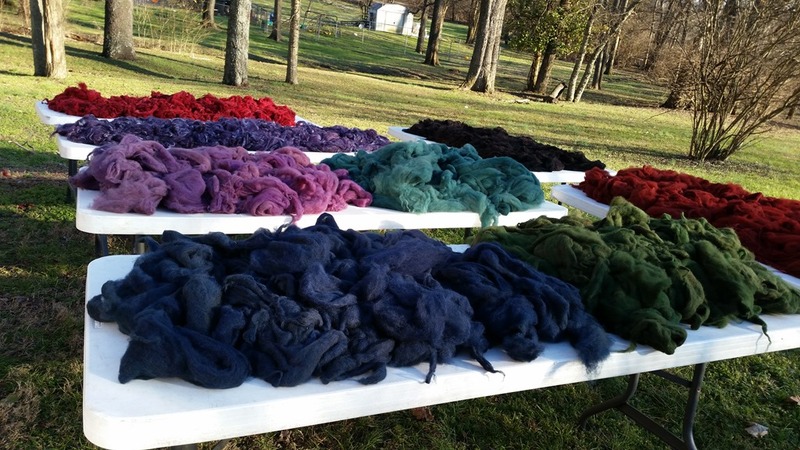 I am now writing to you while my breakfast is cooking, before heading back out for a day at the dye pots once again. In February you waste a sunny pleasant day at your peril when work is to be done outside. We have been fortunate to have most of this week but there is potential nasty winter weather forecast for Monday and Tuesday. 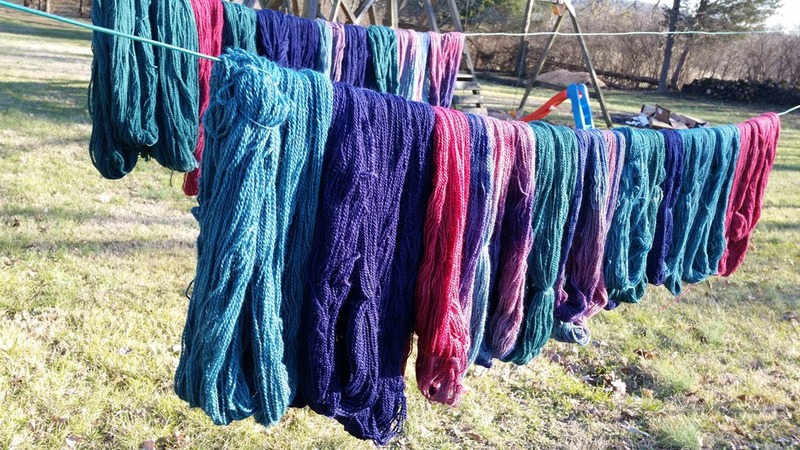 So last week I started getting the dyes mixed for some yarn to restock my inventory for the coming festival season and to dye for the Bocce Shawl kit I told you I am putting together. 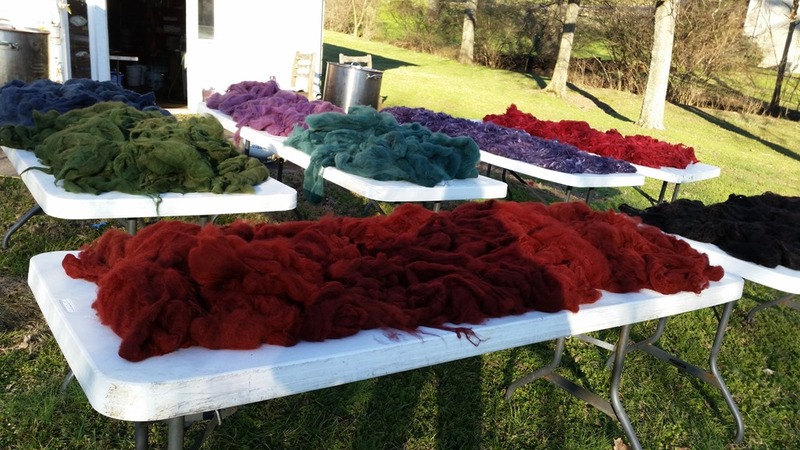 As soon as I had completed that and the yarn arrived from the mill and I was prepared to get to work dyeing it all up when I received word from the mill I dye for that they had some business for me. Their order took precedence (from my perspective) so I got right on it. 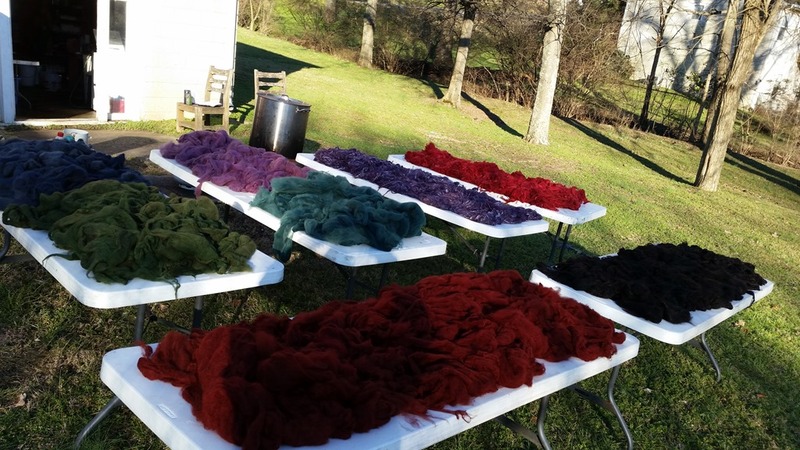 I picked it up on Friday and started dyeing up samples on Saturday. Monday was spent mixing stock. Tuesday I mixed the colors. Wednesday and Thursday I dyed up the whole order. On top of that there is always meals to cook, laundry to do, errands to run, school work to oversee, etc..so you can see why my lack of energy at the end of the day for blogging. Oh and I almost forgot that our hot water heater sprang a leak and needed replaced during all this too. It is all I can do to put on the kettle for a cup of Earl Grey and listen to some music to unwind. So one more day out at the pots today should be all I need to get my yarn done. Possibly pictures will be forth coming. 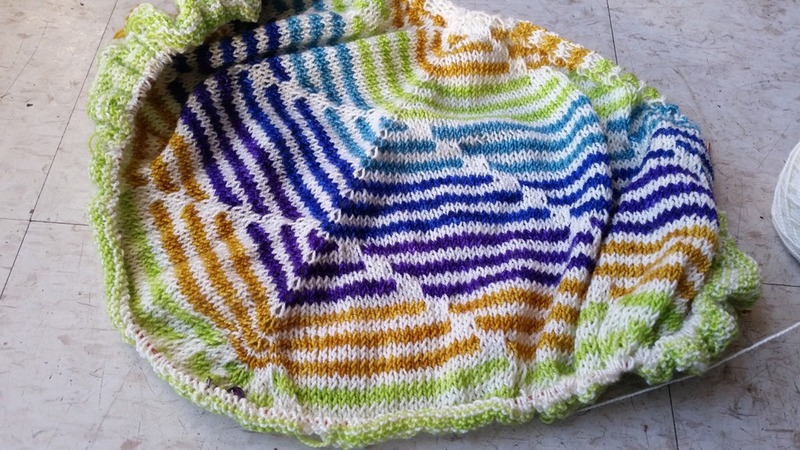 I have managed to squeeze in a bit of knitting as well on the Bocce Shawl and it is really looking nice if I do say so myself. I love these colors together broken up by the natural color. I have three more colors to go and the border.